All Slots Casino is one of the best Microgaming online casinos to play at. All Slots is licensed by the Lotteries and Gaming Authority in Malta. 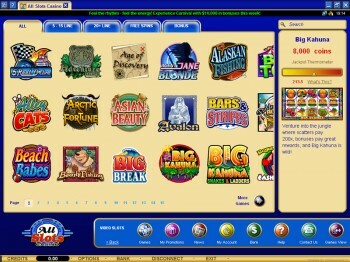 The Microgaming software was created by a Canadian company. Enjoy a 100% match bonus up to $250 on your first deposit after signing up, and then 50% bonuses on your next three deposits. This welcome package is worth up to $1600 is you max out each bonus. Don’t be fooled by the “All Slots” name, while there are over 400 slots, there are also over 150 other casino games including blackjack, video poker, keno, roulette and other games. Also enjoy the several blackjack and slot tournaments available every day, with many being freeroll tournaments. The loyalty program at All Slots online casino allows you to accumulate points from wagering on the various casino games, which can be redeemed for cash back after a certain amount is reached. Even if you cash in your points, the overall number of points accumulated counts toward your “loyalty ladder” position. The more points you accumulate, the higher up the VIP ladder you climb, you don’t lose anything by cashing in. Climbing to higher VIP levels also opens opportunities for better rewards including various bonuses, dedicated support, faster payouts, and even paid vacations if you climb to a high enough level. I have found the live chat support to be very responsive and helpful, acting quickly to solve any issue or respond to any request that I had. As with most Microgaming casinos, withdrawals are placed in a 24hr ‘pending’ period where some or all of the withdrawal can be reversed if you wish to play more. Live chat support is usually quite happy to ‘flush’ your withdrawal if you ask nicely, removing the pending status and sending it to the cashier for faster processing. I prefer to do it that way and just deposit again if I wish to play more. Several different currencies are available for wagering on the many games available, and players from most countries are welcome. Players from the US are currently unable to open new accounts at Microgaming casinos. Hopefully this will be changed soon as the US government warms up to gambling online. If you are from the US, I believe clicking one of the links on this page will take you to Jackpot Capital, a trusted RTG casino. 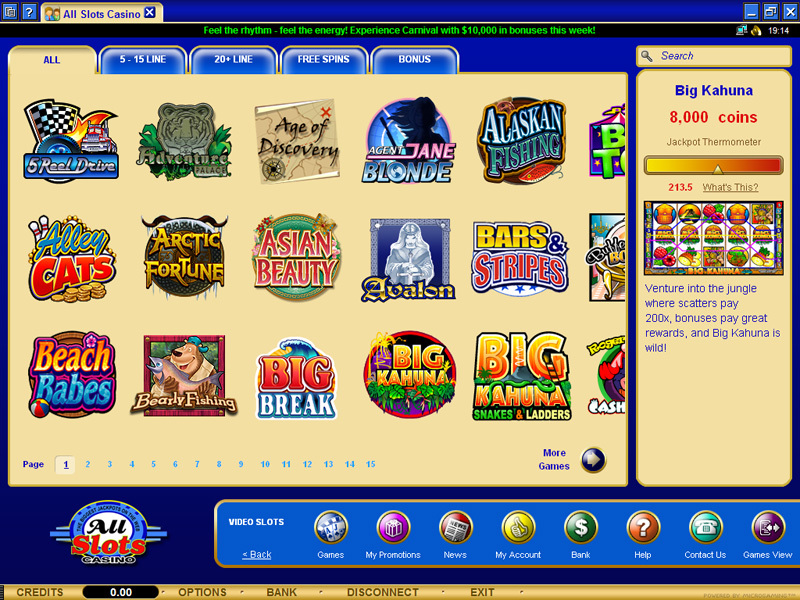 All Slots online casino is backed by the well established and trusted Jackpot Factory group. They have been around for a long time with very few legitimate complaints over the years. Enjoy the selection of over 500 various casino games knowing that you will be paid any and all winnings owed to you when you hit that withdrawal button. Today could be your lucky day, head over to All Slots Casino and start winning!